Oh my goodness, you guys, GAME CHANGER right here. Busy moms? I’m right there with you. Yes, I love love love to cook, but I’m not always so excited at spending a ton of time making dinner every night. 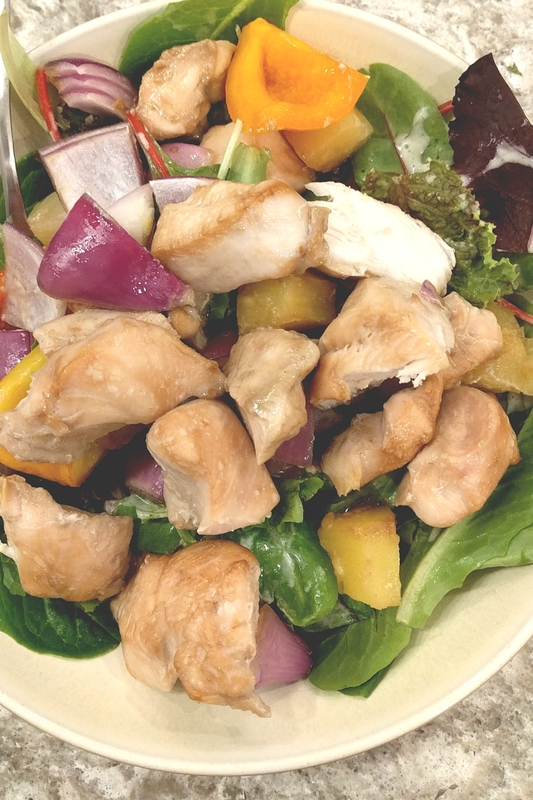 This is a recipe I love for chicken skewers on the bbq.. but I’ve modified it to be super easy. You can cook a big batch all at once in the oven. Plop this onto a bed of greens or rice, and you’ve got a super quick and easy YUMMY dinner. boom. Do my kids eat it? Well, all they’re happy with right now is fruit and bread, so that answers your question. 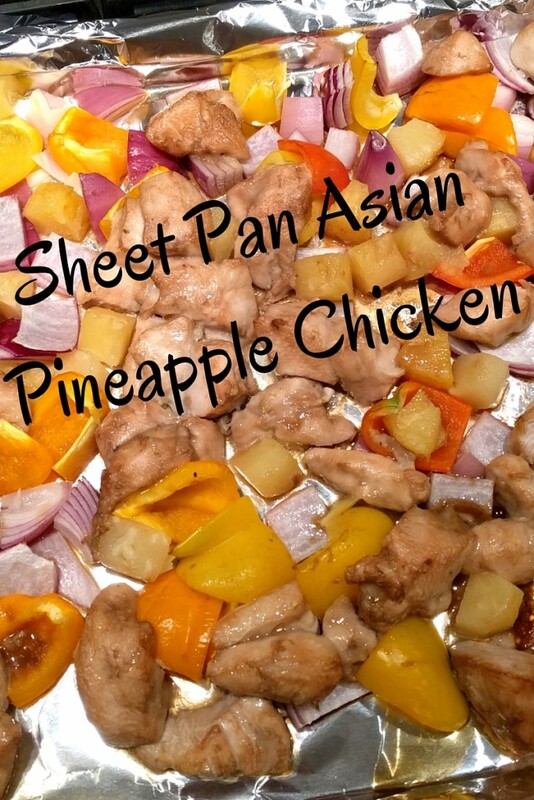 I can’t even handle it.. the chicken stays all nice and juicy.. the pineapple adds this sweet amazingness..
Stir together soy sauce, sesame oil, and ginger. If you have time, marinate the chicken in this mixture for half an hour (or up to a day ahead if you wanna get a jump start on dinner). Bake for 20 minutes, or until chicken is cooked through. Serve on a bed of greens or rice.